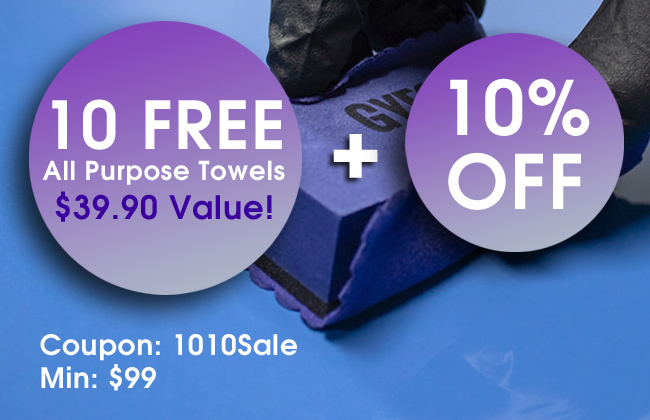 Get 10 free Blue All Purpose Towels valued at $39.90 plus 10% off the rest of your order from 8/28/2018 through 8/30/2018 using coupon code 1010Sale. Minimum purchase of $99 required. Don’t miss out on this amazing offer!